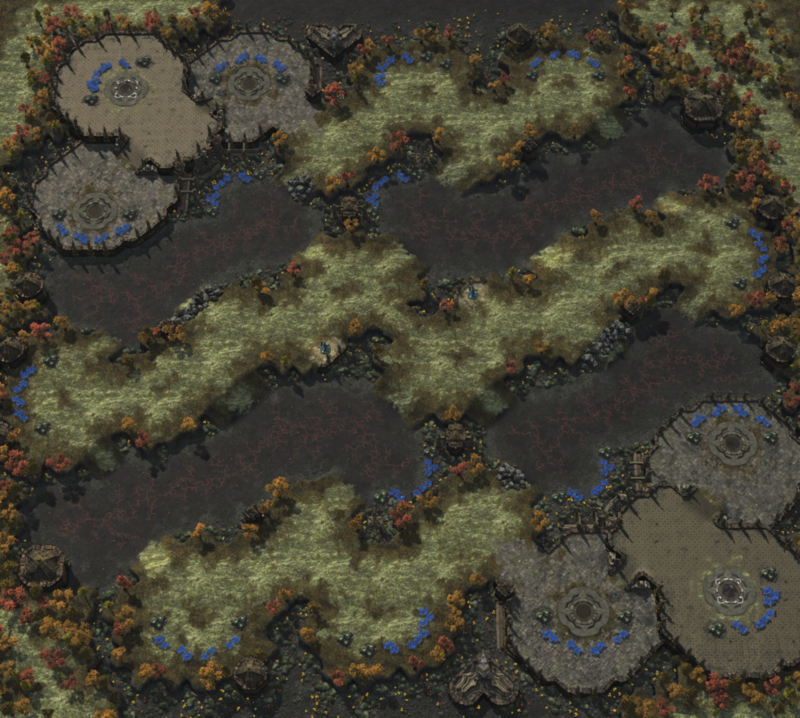 This is a large macro oriented map that has four easily accessible and defendable bases. The special feature of the map is the base that has a direct access from the starting base but is very vunlerable to attacks from the lowground as long as the opponent has vision. The player has the choice to take it quickly as a second of third base at the risk of taking significant damage if he isn’t able to defend properly. The other choice is to safely take that base as the fourth base when he is able to control and defend the area below. The middle area of the map features a long strip of high ground which encourages players to control the middle of the map in the later stages of the game.